The aim of this study is to document the incidence of early lymphedema and study the risk factors influencing post mastectomy lymphedema. It is a prospective cohort study involving 98 adult women who underwent surgery including axillary lymph node dissection for biopsy-proven breast carcinoma. Serial measurements of the arm were taken preoperatively and postoperatively at 3, 6 and 12 months. Lymphedema was diagnosed if there was an increase in girth by more than 2 cm in the concerned limb. All patients received standard lymphedema prevention advice. Risk factors assessed were age, body mass index, comorbid conditions, hypertension, medications, socioeconomic status, upper limb symptoms, laterality of disease, type of surgery, stage of the disease, histopathology, node status, wound complication, receptor status, seroma volume, duration of seroma drainage, radiotherapy, chemotherapy, post radiation skin reaction and post therapy weight gain. The statistical analysis was done using chi-square test with SPSS version 16. The incidence of lymphedema was 23.47%. The univariate analysis showed that prolonged or high volume seroma, taxane-based chemotherapy, radiotherapy to axilla and skin necrosis following radiation were significantly associated with lymphedema. In the multivariate analysis, only post radiation skin necrosis was significant. The authors would like to acknowledge Dr. Jayaprakash Muliyil, Professor, Department of Community Medicine, Christian Medical College, Vellore, for his help in analysing the data. 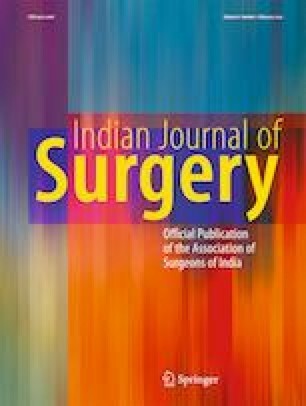 This prospective observational cohort study was carried out at the Department of Plastic Surgery and Endocrine Surgery, Christian Medical College (CMC) Hospital, Vellore, from 2011 to 2013. The study was approved by the Institutional Review Board and ethics committee.